Della McGee is a widely recognized intuitive healer, yoga teacher, and workshop facilitator. She’s been sharing her gifts for over 20 years, and her skills have led her to help thousands of people from all walks of life bring clarity to their lives and assist them in reaching their highest potential. Della loves to help people with her no-nonsense, intuitive readings. She is practical and grounded in her approach to sharing the information that comes through her. She uses several techniques during the healing process including communicating with your angels and guides, visioning, chakra attunement, and hands-on healing. In 2016 Della received her master's certification in hypnosis (MHt) through NATH. She currently uses this technology to help empower individuals who may be struggling with blocks to moving forward in life. On the spiritual side, she loves to help people find the root core of persistent life problems with past life regression. A certified yoga teacher since 2006 through Kundalini Research Institute she uses her intuitive gifts to bring the student exactly what they need in her Yoga For You classes. 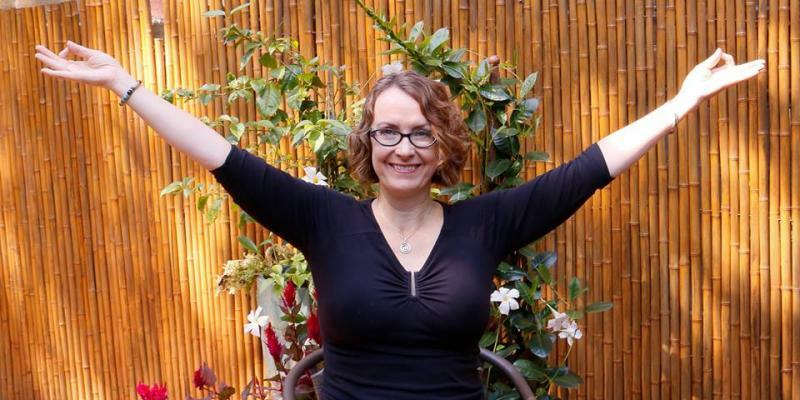 She recently created Love Your Belly Yoga to help women heal any negative self-image they may have around their body, especially their bellies.